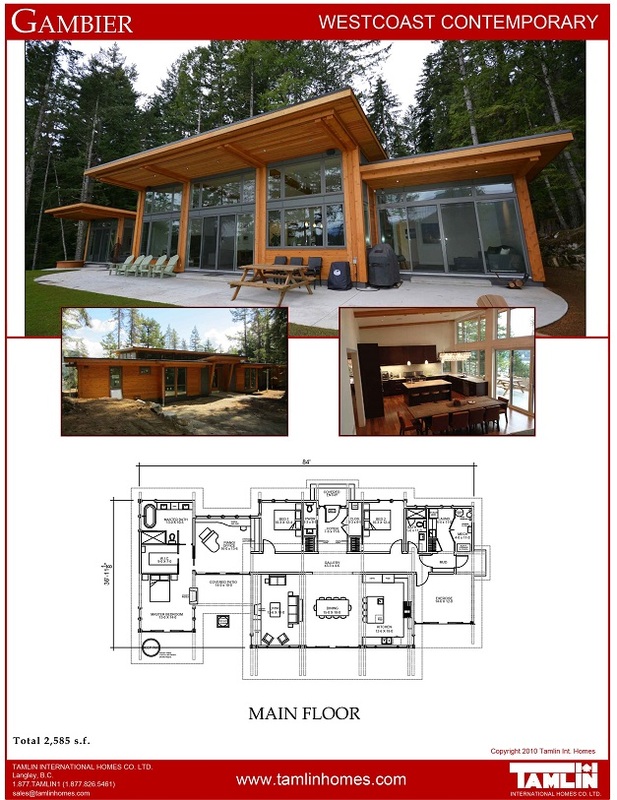 Permit & Construction Plans | Tamlin International Homes Ltd.
Tamlin has the knowledge and experience to guide you through the building process, starting off with the right plans for permit processes and construction. Every building lot is subject to its own unique site restrictions and bylaws which can create lengthy permit delays resulting in additional costs of re-design, re-draw, and re-submission. This makes the task of submitting a correct permit plan so critical. Tamlin produces the detailed drawings required to meet today’s stringent environmental and engineering code demands. 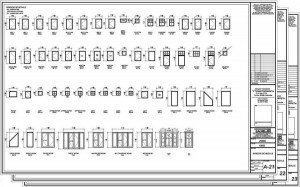 A typical permit set of drawings will have floor plans, elevations, foundation plan, numerous section and drawing details, and an engineer’s stamp. Tamlin will professionally produce the right level of “detail” of plans to meet your permit requirements and help you submit in time for building. There is often confusion about the difference between “construction” and “permit” plans. 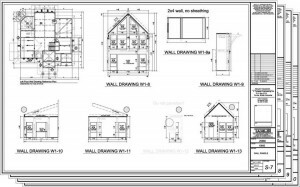 While permit plans will enable you to get the approval to build, you will require many more detailed drawings in order to actually construct your house. Tamlin has one of the most detailed construction drawings in the industry and that makes building much quicker and efficient on site, saving time and money. 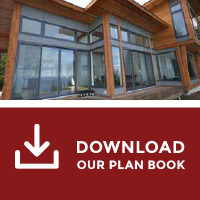 We even provide waterproof and tear-proof plans for the most “durable” on site use. Here are some examples to show you what construction plans look like. For more details and explanations, please call us at our Toll Free: 1-877-826-5461. Construction crews typically “look” at details rather than “reading” lengthy instructions. Tamlin understands this and therefore our details are drawn so they are easy to visualize with a practical approach. We often provide 3D construction sketches to simplify installation details even more. This reduces errors drastically. During the construction drawing process we confirm the most suitable installation methods with our crews or the builder to make construction easier on site. We often catch potential design and construction problems ahead of time and this saves time and money. In the course of construction, it rains, plans get muddy and torn and cannot be used. Not with our construction plans! We provide completely Waterproff and Non-Tear on-site drawings. For all our timber frame homes we include complete shop drawings, structural engineered drawings and 3D renderings which identify each numbered timber component for easy assembly on site. Permit plans include footing and foundation plans, floor plans (basement/crawl space, 1F, 2F), elevations (N,S,E,W), numerous section drawings and relevant structural details. A “lot” plan is often provided to indicate house position, setbacks, easements, basic site services, and/or survey drawings may be necessary. 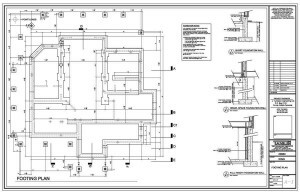 Engineered drawings are also provided as per local building requirements. Let us look after the technical details and you can concentrate on your other important tasks. Construction plans include all the above and many more details for the builder, enabling fast and smooth construction. These typically include floor joist layouts, plywood sub-floor layouts, roof framing layouts, roof board layouts, gable wall framing layouts, individual wall framing layouts (optional), and even a door and window schedule (identifying exact locations, sizes and rough openings). Also included is our easy to follow Bill of Materials which itemizes each component in the house package, specifies quantities, lengths, sizes, and provides key building notations to organize construction materials and help you plan on-site installation. During the building process there are countless occasions when individual drawing details are needed for sub-trades, engineers, building department, interior designers, kitchen and bathroom experts, etc. We provide these drawings as soon as you need them to save you time.